Melissa Good Taste: Tulsa Bound! McDonald's was my only option and it is not a bad choice when it comes to road breakfast food. 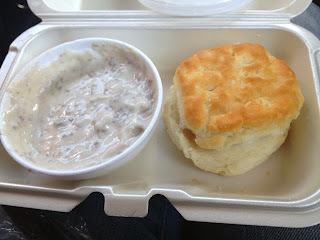 This particular McDonald's had Biscuits and Gravy on its menu so I could not pass it up. It was lovely. I have had my share of all types of variations from high dollar establishments to small town cook shacks and this one is very competitive amongst the best. We now are just rolling along, making our way through the great state of Texas and on up into Oklahoma. 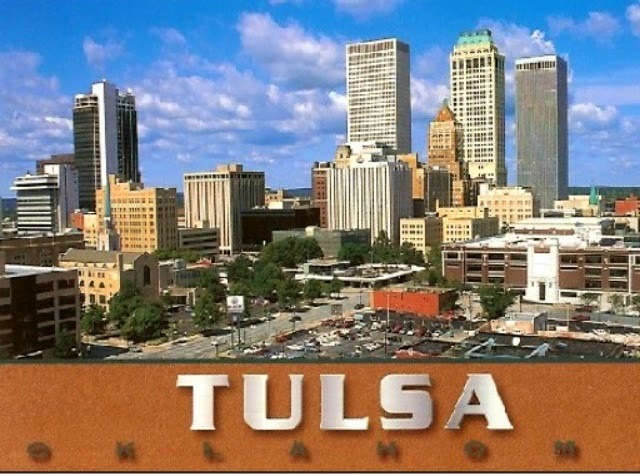 I have never been to Tulsa so I am very excited to visit a new restaurant scene! I will keep you posted!! Probably compared to Ojai (never been to CA) Tulsa might be a disappointment. It's the 2nd largest city in Oklahoma but it'll probably be small... lol. Eh, Tulsa is great though!! And the BI is fun. btw, Cafe Ole at like 35th and Peoria (for sure Peoria and it's right around 35th...) is really good.